The 3.0L Ford pushrod motor has been around for nearly 20 years. 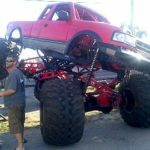 It was originally introduced back in 1986 and millions of them have been installed in a wide variety of front and rear wheel drive cars and trucks since then. 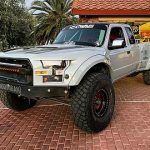 It’s been used in several FWD applications including the Taurus/Sable, the Tempo/Topaz and the Probe cars, along with the Windstar vans, and it’s been available in both the RWD Aerostar vans and Ranger pickups over the years. 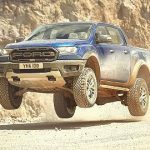 Ford installed around 500,000 a year through most of the ’90s, peaked with 623,942 in calendar year 2000, and is still building nearly 400,000 a year even today. 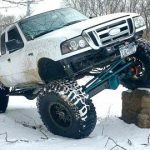 It’s a common engine in some of Ford’s most popular cars, trucks, and vans that are worth fixing, so it’s been a good seller for most rebuilders and will probably continue to be very popular for many years to come. The 3.0L was well designed in the beginning, so there haven’t been a lot of major changes made to this engine. It has evolved, though, with a total of seven different short blocks, four heads, and somewhere around 20 long blocks that have been built over the years. With that in mind, it’s easy to make a mistake if you don’t know all the combinations and exactly what goes where, so let’s start at the beginning with the original engine that came out in ’86 and walk our way through it, one piece at a time. 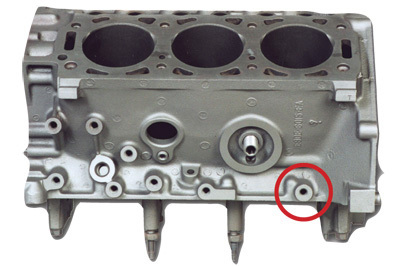 The original short block was based on the E6AE casting. 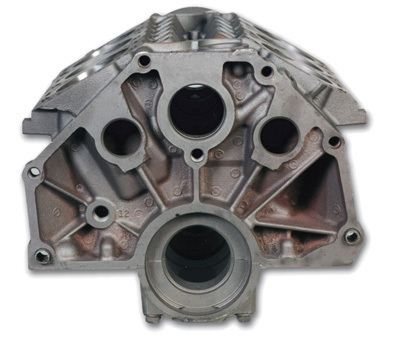 It was a very conventional, cast iron, 60º V6 block that looked a lot like Chevy’s 2.8L V6 and it was used in both FWD and RWD applications from day one. Rebuilders should be aware that all the early short blocks had four studded main bolts on the No. 2 and No. 3 main caps. Ford added an extra threaded hole on the driver’s side that was located right above the pan rail, just below the motor mount, and about 2 inches forward of the bell housing. These blocks still had the four studded main bolts and were used for all the cars, trucks, and vans including the FWD Probe up through ’90. Look for an E9DE or F0ZE casting. There were a couple unique versions of the 3.0L engine that were used in the Probe in ’91 and ’92. The Probe didn’t have studded mains in ’91, and it still had a flat tappet cam in ’92, even though all the other 3.0L engines came with roller cams. These engines can be built with any of the E9DE, F0ZE, or F2DE blocks because they don’t need the holes in the valley for the “spider” that was used with the roller lifters. All the 3.0L motors except the Probe got roller lifters in ’92, so there was a new F2DE casting that had two more bolt holes in the valley that were needed for the “spider” that kept the roller lifters perpendicular to the cam. The Tempo/Topaz cars that came with an automatic transmission used the F2DE block and a roller cam, but there was a special cam for this particular application, so this short block was unique to these cars because of the cam. In 1995, Ford added reinforcing ribs in the back and on both sides of the block to reduce “noise, vibration and harshness” (NVH). In addition, the bulkheads for the mains were modified to reduce weight and improve durability. 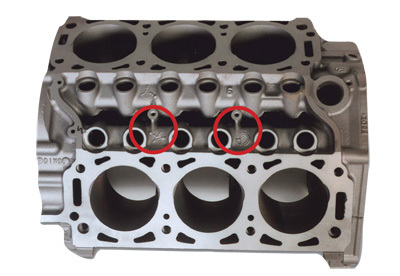 The F58E block that came out in ’95 was replaced by the F6AE and F6DE castings, but they’re identical to the earlier F58E block, so they can be used interchangeably. The engineers also added another counterweight to the crank in ’95 to make the engine run smoother, so the new crank came with five counterweights instead of the four it originally had. The block was changed again to a XF1E-DD casting that had one major difference: the threads in the deck were slightly recessed and the head bolts were an inch longer so they extended further down into the block. 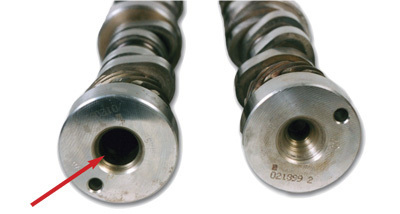 Using the longer bolts helped minimize bore distortion which improved ring sealing and reduced oil consumption. 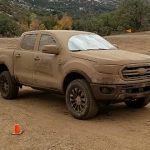 Less oil consumption meant less oil contamination, so the catalytic converter lasted longer, and that’s what really mattered to Ford, because it helped them comply with the extended emissions warranty required by the EPA. There was another new short block in 2002. The new 2F1E block casting had “X” shaped reinforcements on both sides, one more bolt hole on the passenger side for a sensor and a revised piston, too. 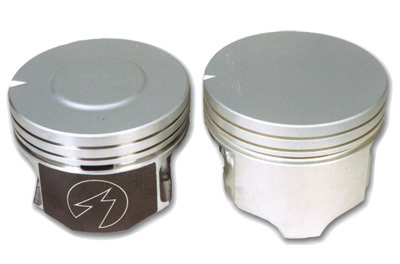 The new pistons had a small dome on top for more compression, the oil grooves were only 3.0mm wide, and the pistons were a few grams lighter, too. 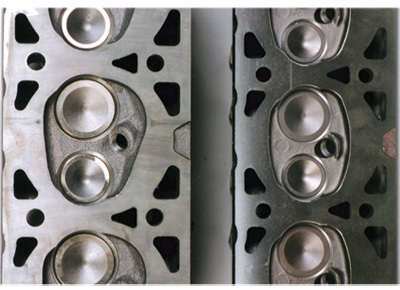 The 3F1E block that replaced it in 2003 appears to be the same. The original E6AE crank with four counterweights – two in the front and two in the back – was used up through ’94. A new casting that had an additional, narrow counterweight in the middle of the crank was introduced in ’95 and has been used ever since. The original crank with the extra counterweight was a F58E-AA casting, but there have also been F5DE and XF1E-AA/DD castings with the fifth counterweight that are very similar and completely interchangeable. We expected that the XF1E-AA/DD would be slightly different because it came with the lighter pistons that were used in the 2002-’03 engines, but it checked out the same as the others on the balancer, so it can be used in any motor after ’95, too. There have been two different castings used in the 3.0L, but they’re both the same so they can be interchanged without any problems. Look for a rod with either an E6AE or a F7DE casting number on it. Ford has used four different pistons in these engines according to my parts book. The actual part number used varies by year and application, starting with the F5DZ-EA and going to the F5DZ-A and the Y2UZ-EA before ending with the 2F1Z-AA that came out in ’02. Our best take on it is that the F5DZ-EA and F5DZ-A are pretty much the same, the Y2UZ-EA that was used for some applications from 1999 to 2001 looked the same, but it had the 3.0mm oil ring groove, and the 2F1Z-AA that was introduced in ’02 was an all new design. It had the 3.0mm oil grooves, but it was about 10 grams lighter and had a small dome on the top so it made a little more compression. In order to simplify life, most rebuilders we talked to are using the early piston with the 4.0mm oil rings up through ’01, and the later, lighter piston with the 3.0mm oil groove for everything from ’02 and up, but it’s up to each shop to decide which combination to use year by year. The 3.0L engine came with a flat tappet cam from ’86 through ’91. 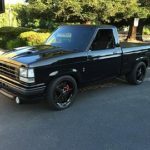 Ford switched to a roller cam in ’92 for all the cars and trucks except the Probe. Since then, there have been eight different roller cams used for these engines, but they’re usually grouped into three different applications (see the application chart at the bottom of this page for more information). 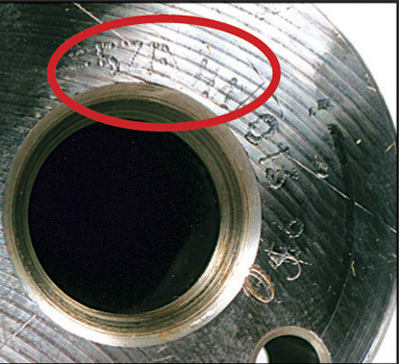 The identification number is always stamped or etched on the back of the back journal. 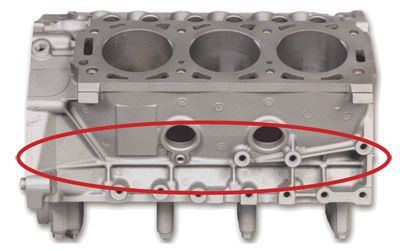 Rumor has it that some rebuilders have consolidated most of the car and truck cams, and that might just work, because there’s only a 2º difference in the lobe centerline between most of them. But, no matter what you decide to do otherwise, make sure that you never use the cam for the Tempo/Topaz with A/T for anything else because there’s a 13-1/2º difference in the lobe centerline between the F23Z-A / F33Z-A cams that were used in the Tempo/Topaz and the F2DZ-A and F3DZ-C that were found in the cars and vans during the same years. 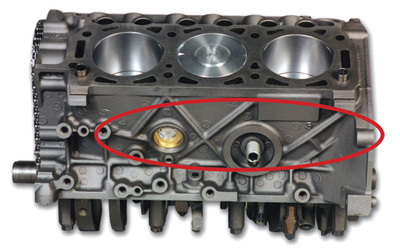 There have been two different head castings used on the 3.0L with two different valve stem sizes, so there are actually four different heads, although you could probably combine the early and late applications and get by with two of them most of the time. The E6AE-AC/HC and F6DE-GA were built with 8.0mm valves through 7/26/99. These castings both had a 49cc, oval chamber. 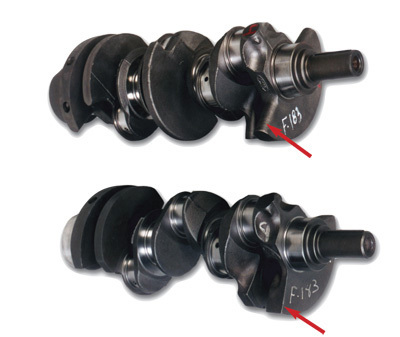 The F6DE-GC casting came with 7.0mm valves, conical springs and smaller retainers beginning in 7/27/99 and it has continued in that configuration up through ’03. Ford offered a “flex-fuel” version of the 3.0L that could run on methanol beginning in ’96. This head had a modified, heart-shaped 47cc chamber instead of the regular 49cc, oval chamber. This chamber was probably designed to work better with the methanol fuel that burns at a slower rate than gas, so you shouldn’t substitute a regular head for this application if the customer is ever going to run the engine on methanol. These heads had 8.0mm valves along with the regular springs and retainers. They were F6DE-EB castings. Although we haven’t actually seen one of the latest methanol heads, we suspect that they’re still using the F6DE-EB castings. And, it seems quite likely that the later ones would come with the 7.0mm valves, conical springs and smaller retainers that were used on the later version of the regular heads. 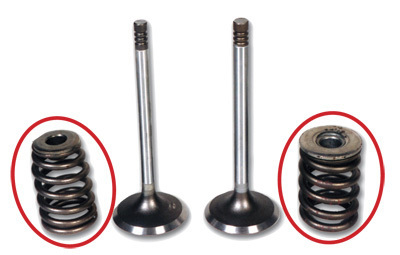 Ford has used two different head bolts for the 3.0L motors. The original head bolts that were used up through ’98 were 4.34? long from top to bottom. 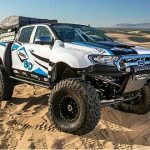 Ford increased the overall length of the bolts by about an inch to 5.50? in ’99. Moving the threads deeper in the block helped reduce bore distortion which enabled the engine to make more power with lower emissions. 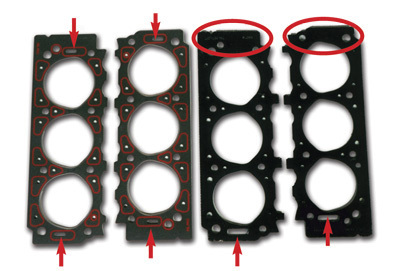 The head gaskets can cause some confusion if you’re not aware of the differences between the FWD and RWD gaskets. 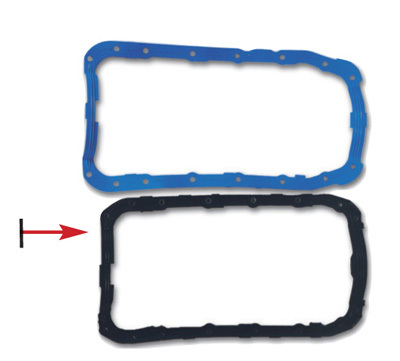 There are two different head gaskets for the RWD engines. There’s one for the left and one for the right, and they both have to be installed with the “UP” that’s imprinted on them facing the head or the engine will leak coolant or overheat or both. 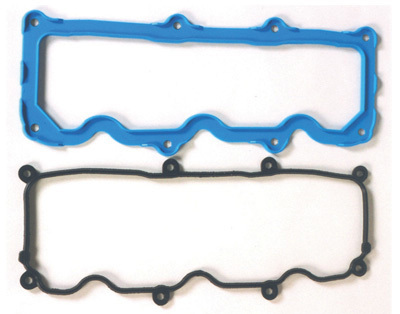 When the gaskets are installed correctly, they both have a slot in the back that allows the coolant to thermosiphon up from the block and into the heads so it can flow forward through the heads and cool them before going into the radiator. (There are left and right head gaskets for the RWD motors, but there’s only one that’s used for both sides on the FWD applications. There’s only one FWD head gasket, so it fits on both the right and left sides, but it still must be installed with “UP” facing toward both heads or it will leak, too. The FWD gaskets have two smaller coolant slots on both ends so they can’t be used on the RWD engines because the coolant won’t flow through the heads correctly. 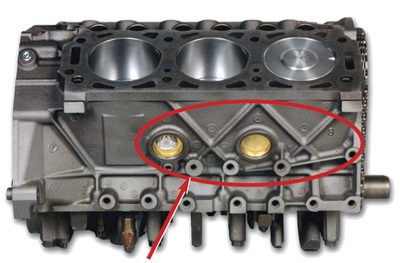 Ford has used early and late valve covers on the 3.0L, so there are two pairs of rocker gaskets used on these engines. There’s a flat, molded version that was used up through ’90 and a spaghetti-style version that was used for everything except for the Aerostar beginning in ’91. Unfortunately, the ’91-’94 Aerostar came with either one, depending on the engine code, so rebuilders need to include both rocker sets for the Aerostar during these transition years to be sure the customer has the right ones. 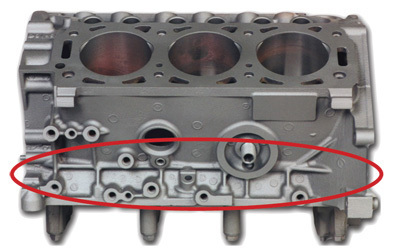 There have been two different pan gaskets used on the 3.0L, too. They’re both flat, molded designs, but the later one – after 3/27/90 – is about 1? shorter in the front because the front cover was shortened up in mid-’90. Make sure you supply the right pan gasket for the right application. 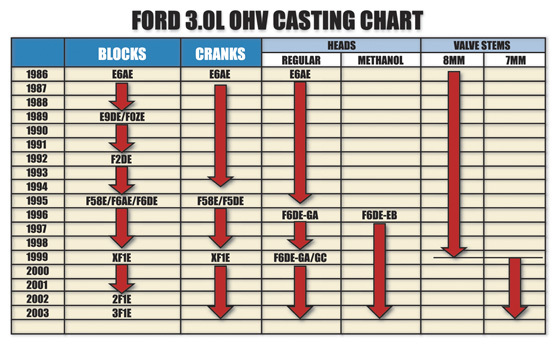 That’s about all there is to know about Ford’s little V6. It’s been a good motor, but there are lots of them out there and they do wear out, so there’s a good market for rebuilt engines. They’re pretty easy to rebuild and there aren’t a lot of surprises, but they do tend to crack about 25 percent of the heads along with a few blocks, so plan accordingly. Just remember to keep all the FWD and RWD combinations straight and you’ll enjoy having the business. Doug Anderson is President of Grooms Engines, Parts, Machining, Inc., located in Nashville, TN. He has authored numerous technical articles on engine rebuilding for Engine Builder magazine for more than 15 years. Anderson has also made many technical presentations on engine building at AERA and PERA conventions and seminars.